The IP Trade T4 Flex Soft Turret Application has all of the rich visualization, workflow and single touch communications of a traditional trading turret now supported on a Windows® 7, 8, 10 (64bits) PC. among different applications on a single workstation. IP Trade T4 soft turret supports all key trading workflow needs including multiple shared line appearances, high-capacity conferencing, intercom, barge-in, overflow call coverage, audio/video streaming, call history, speed dial directories and voice-recording replay. The T4 soft turret application offers the potential for traders to extend productivity beyond the trading floor and because T4 Flex runs in the same application environment as the IP Trade T4 turrets, it is fully integrated with other trading applications such as voice recording and enterprise unified communications applications and endpoints. T4 soft turret also addresses key business requirements including: rapid site deployment, quickly accommodating new traders, trading system survivability, remote users and flexibility for business expansion. IP Trade’s T4 Flex Soft Trading Turret Application offers trading professionals a comprehensive, streamlined trading turret communications experience on any Windows 10 device, maximizing flexibility and productivity. 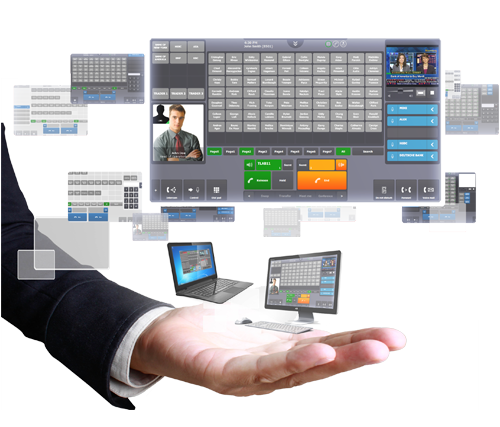 Designed for flexibility, T4 Flex is deployed as a soft client application and features a high-capacity, customizable display with key telephony, hoot ‘n holler and intercom channels on a single screen, so traders can easily monitor all of their activity and access contacts at the touch-of-a-button. The intuitive User Interface is easy to learn and can be tailored to the specific workflows and needs of trading teams and individuals. The T4 Flex solution integrates seamlessly with the IP Trade T4 Turret suite and associated applications, allowing a user to log in to the turret or soft application without the need for external assistance, providing a powerful option for free seating, business continuity and mobility. Each T4 Flex turret is connected to the IP Trade software-defined media processing application called the Turret Proxy Openline (TPO). The TPO is deployed as a virtual machine on industry standard servers in a scalable, high-availability cluster. 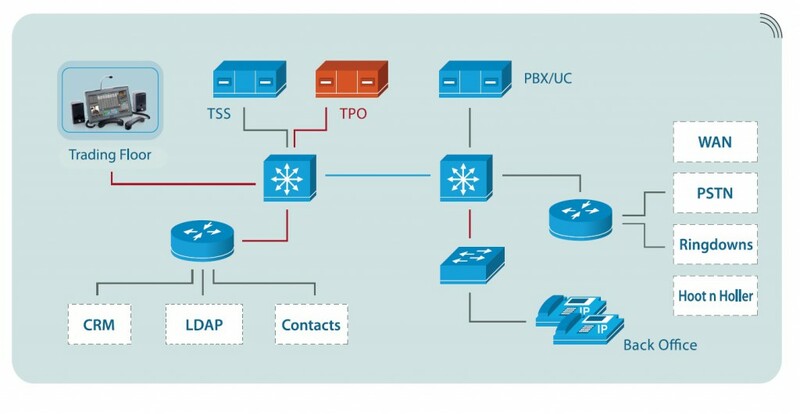 The TPO behaves as a native extension to customer’s unified communications architecture using standards-based Session InitiationProtocol (SIP) signaling. The IP Trade T4 Flex is deployed as a native SIP endpoint to the customer unified communications (UC) architecture (Alcatel, Avaya and Cisco platforms are currently supported) with many standard collaboration features/functions and applications extensible to the T4 Flex. IP Trade has an open architecture and standard application programming interface (API) enabling the solution to interoperate with media recording platforms. 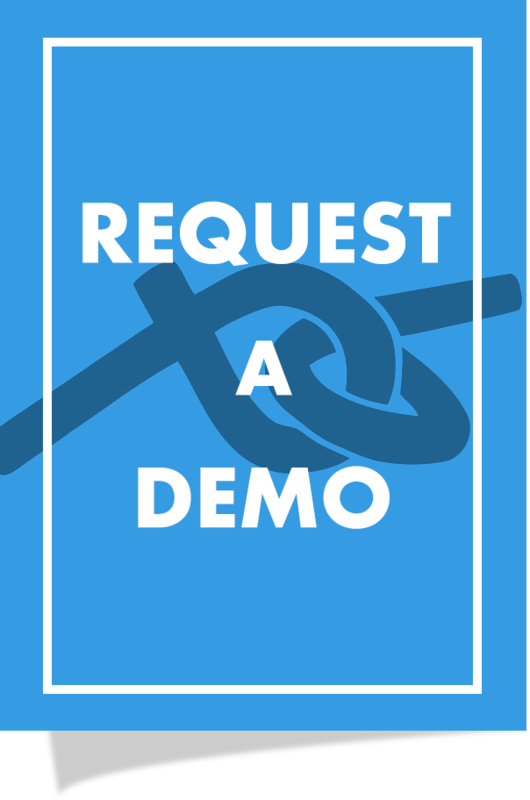 The company has an interoperability testing and certification program available to any IP media recording vendor (please check with a sales@linx-networks.com for current models and versions supported).